Aurora Cannabis Inc. (ACB.TO) says it intends to use its ownership of greenhouse design firm Larssen Ltd. to pressure other cannabis producers to enter partnerships that will further its aggressive growth plans. 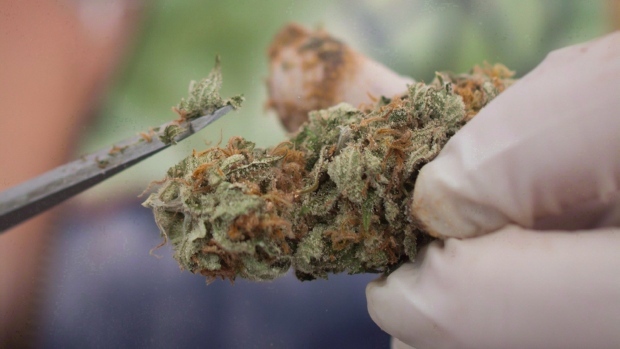 In a news release, the Alberta-based cannabis producer said Larssen is involved with more than 15 cannabis industry clients globally, including five Canadian licensed producers, but its Canadian deals will be reassessed once the buyout announced Thursday is completed. He wouldn't name the five Canadian companies but said they don't include CanniMed Therapeutics Inc. (CMED.TO), against which it is pursuing an all-stock hostile takeover bid, or Newstrike Resources Ltd. (HIP.V), a company CanniMed is attempting to buy. According to its website, cannabis producer The Green Organic Dutchman Holdings Ltd. is working with Larssen to build a large greenhouse in Quebec. It did not return a request for comment Thursday. Battley said the facility will be a closed system hybrid greenhouse capable of precise control of light, heat, humidity and nutrients to produce "ultra low cost" cannabis. To ensure no contaminants enter the system, the air system is designed to be overpressured and overhead robotic cranes will help to replace humans in the growing areas.